^ The Nobel Foundation. Lester B. Pearson Biography. Nobelprize.org. Retrieved on: October 13, 2008. 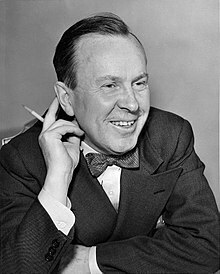 ^ 3.0 3.1 3.2 3.3 3.4 Shadow of Heaven: The Life of Lester Pearson, volume 1, 1897-1948, by John English. ^ 4.0 4.1 "Pearson, Lester Bowles", Encyclopedia Canadiana, vol. 8, Ottawa, 1972, Grolier, 135. ^ "Pearson, Lester Bowles," Encyclopedia Canadiana, vol. 8, Ottawa, 1972, Grolier, 135. ^ "He attended many international conferences and was active in the UN from its inception." and "He signed the North Atlantic Treaty for Canada in 1949 and represented his country at subsequent NATO Council meetings, acting as chairman in 1951-1952." See, "Pearson, Lester Bowles", Encyclopedia Canadiana, vol. 8, Ottawa, 1972, Grolier, 135. ^ Mr. Prime Minister 1867-1964, by Bruce Hutchison, Toronto 1964, Longmans Canada publishers. ^ Reeve, Iain. Wrong turns on the road of symbolism. The Peak. 2007-05-21 [2008-04-13]. （原始内容存档于2008-09-28）. ^ Birth of the Canadian flag. Department of Canadian Heritage. [2011-04-25]. Thorner, Thomas. A Country Nourished on Self-Doubt: Documents in Post-Confederation Canadian History. Broadview Press. 2003. ISBN 1-55111-548-4.